Great Italian Food at Giuseppe, Arnaldo & Sons | 15,000kms of Food! Giuseppe, Arnaldo & Sons (GAS) really do a spectacular job of cooking delicious Italian food. I’ve lost count of how many times I’ve dined there, but I know I’ve never been disappointed. 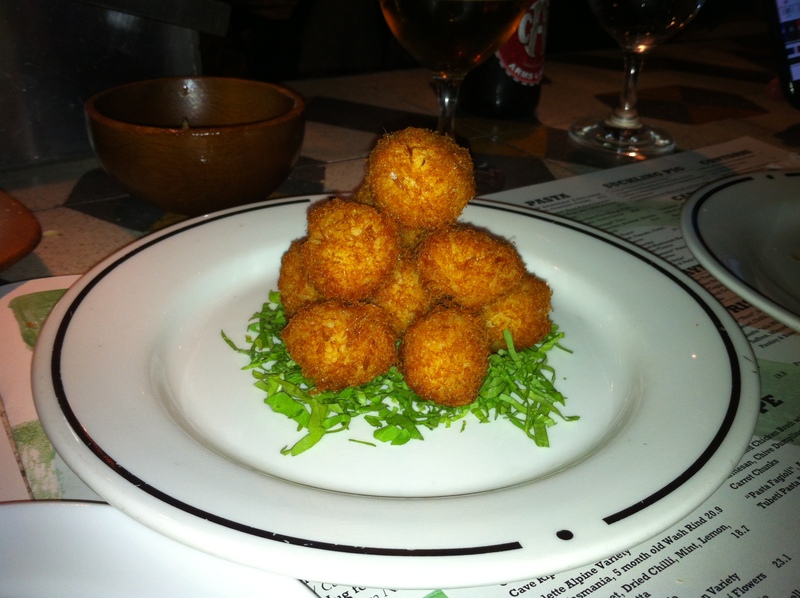 Had a heartwarming winter dinner there, which started with wonderfully crispy “‘Baccala Fritto” Crispy Salt Balls, Aioli”. Interesting flaky crispy texture filled with creamy potato with salty shreds of cod running through it. Yum! I can’t resist cured meat. 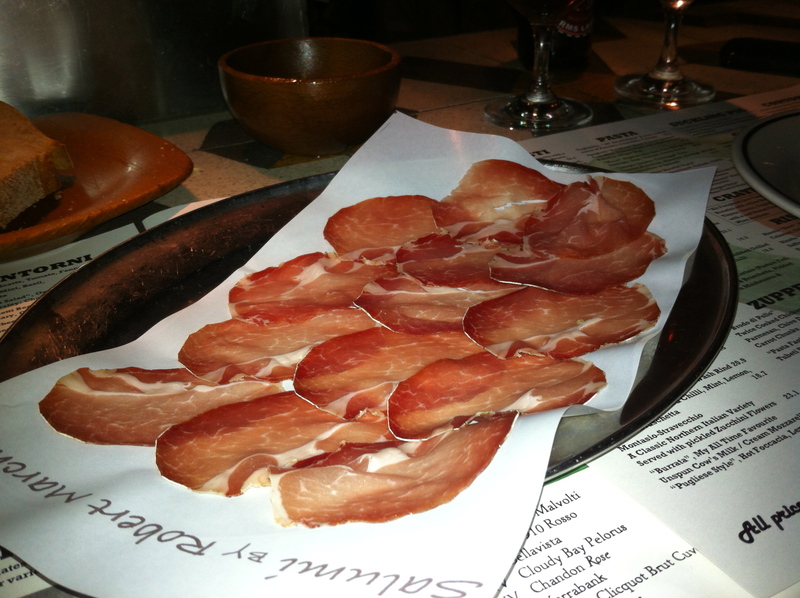 If I recall correctly, “Salumi Ossocullo” is a cut of meat from the neck of the pig. It was tasty. 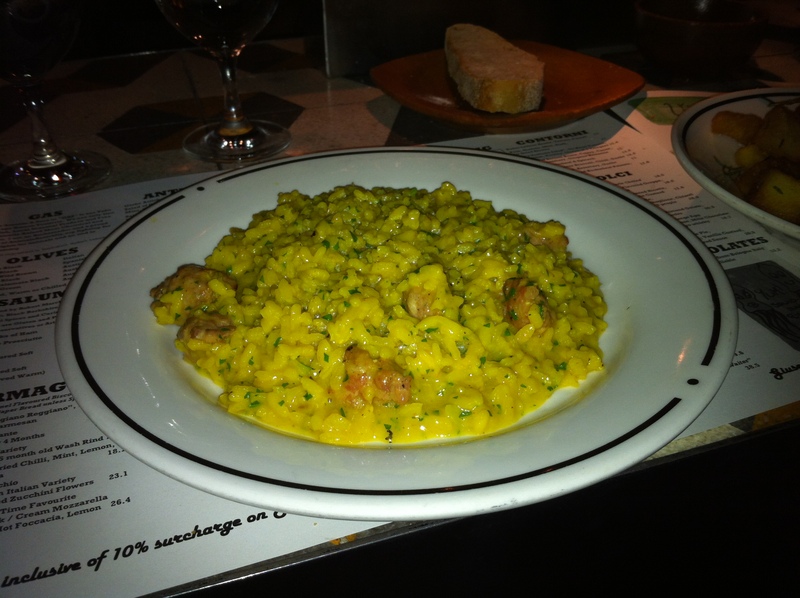 Given the Melbourne weather has been a bit cold and dreary, the “Risotto “alla Milanese”, Saffron, Minced Pork Sausage, Finished with Parsley & Bone Marrow” was the perfect homely and warm dish to counter the outside elements. Rich in texture and flavour, with perfectly cooked rice. 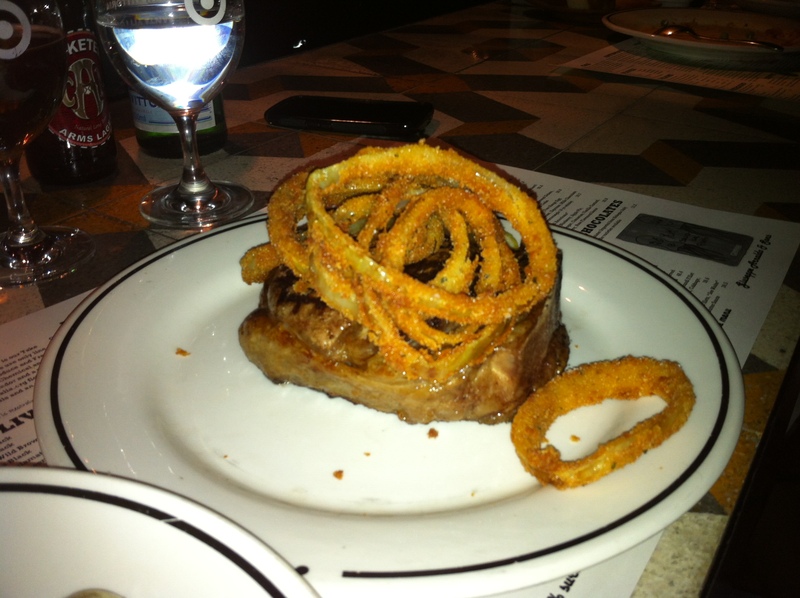 The perfectly seasoned “Grass Fed Sirloin on the Bone 450 Grams Firm Texture, Full Flavoured, Parmesan Herb Crumbed Onion Rings” goes extremely well with a side of crunchy “Potaotes, Rosemary, Garlic”. 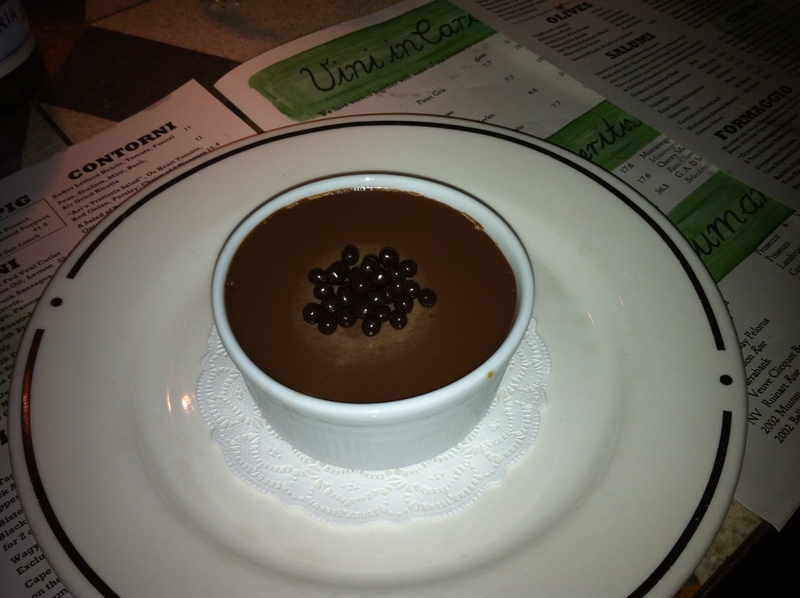 Dessert for the night was “Baked Chocolate Pot, Chocolate Pearls Served Chilled”. It was creamy silky dark chocolate perfection. Great atmosphere, good food. Can’t wait to dine here again! 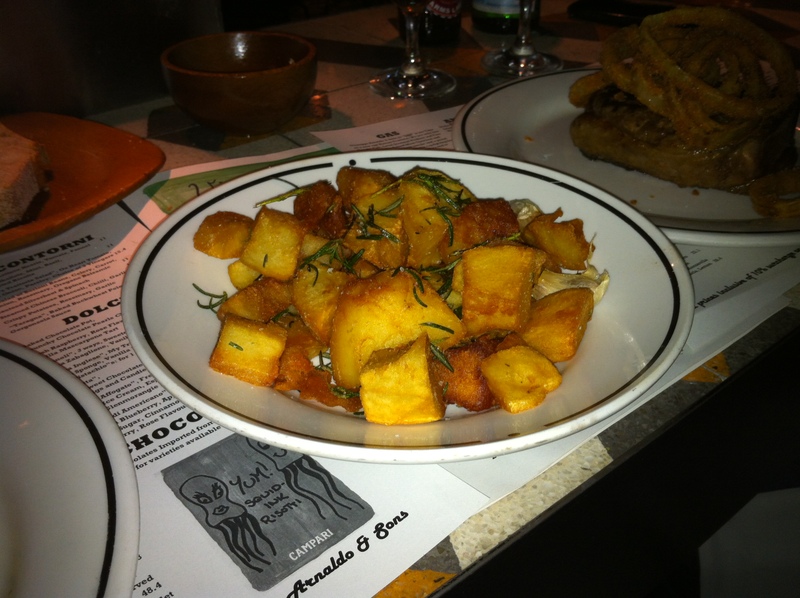 Previous PostDelightful Lunch at Movida AquiNext PostBistro Guillaume… oui oui!